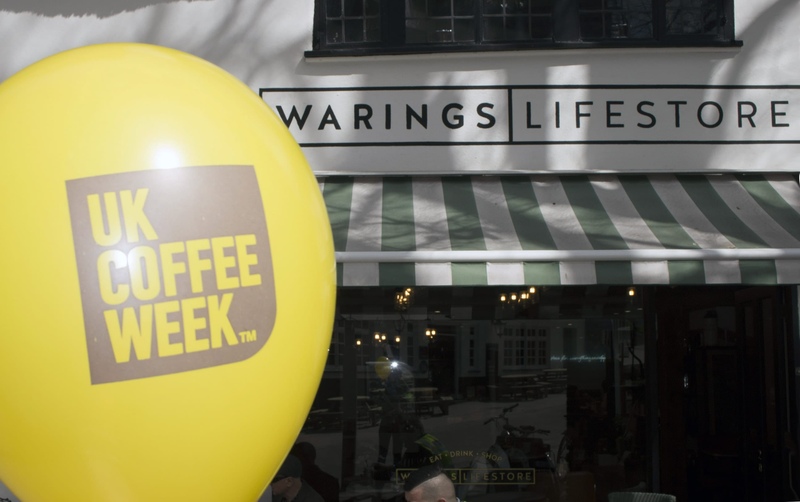 UK Coffee Week is a nationwide celebration of coffee that raises valuable funds for Project Waterfall, bringing clean drinking water and sanitation to coffee growing communities. The campaign, in which WARINGS Café is taking part, will run 16-22 April 2018. Want to help? Come in for a coffee at WARINGS Café to help our donations to help Project Waterfall! 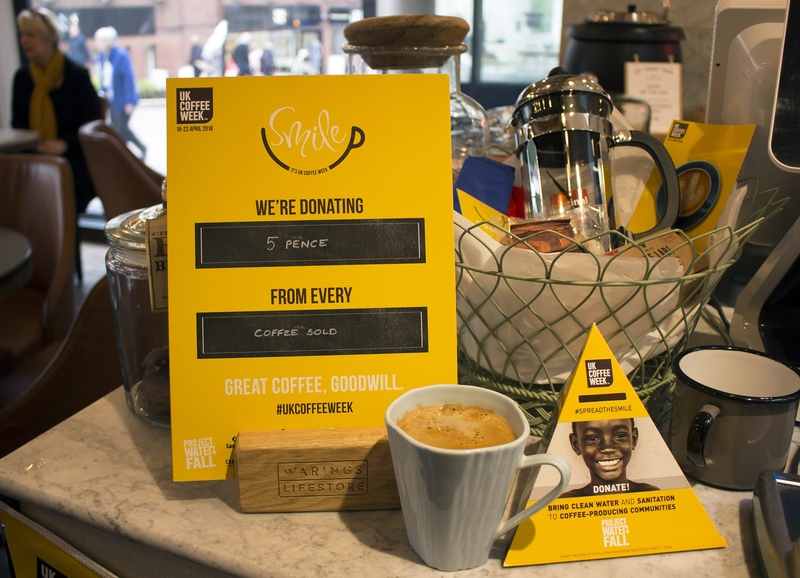 We're donating 5p from every coffee sold! Win a cafetiere, coffee, cookies and more with our UK Coffee Week competition! 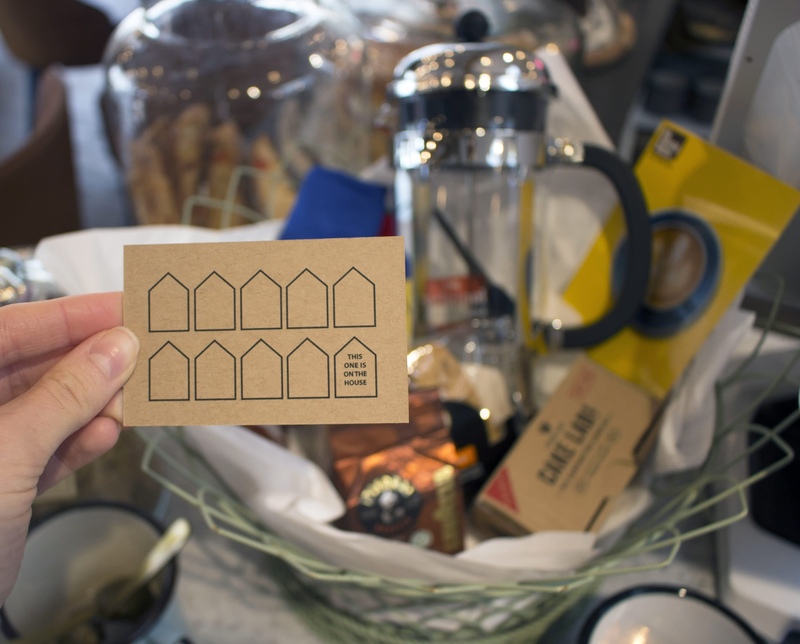 Simply complete one of our coffee stamp cards to enter the draw. The winner will be announced on our Facebook page next Monday - 23 April. For more information, ask a member of staff. Project Waterfall is a charity initiative established by The Allegra Foundation to bring clean, safe drinking water, sanitation and education to coffee growing communities. Since 2011, the initiative has raised over £800,000 and bought clean drinking water to over 27,000 people across 7 countries. 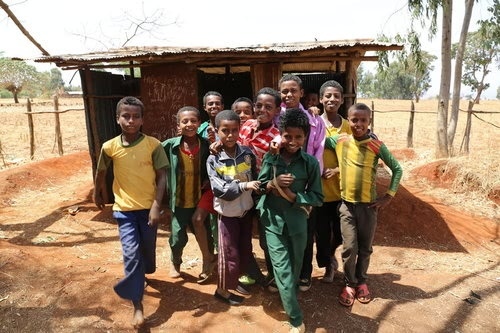 This year, UK Coffee Week fundraising will directly support the first year of a four-year project in the Jebi Tehnan Woreda of Amhara, Ethiopia. This project will change the lives of over 7,000 people through clean water and sanitation facilities and hygiene programmes. The Jebi Tehnan Woreda is in an agricultural region of Ethiopia, where 38% of the population rely on coffee for their livelihood. Rural regions are the most affected by water sourcing issues, and this project aims to mitigate the problems caused by lack of clean water facilities. Our Lifestore café is open daily from 7.30am this week, so come join us in the celebration!